The time has come for Cal women’s basketball, and at this stage, you have to take every game as it comes. Every game could potentially be the final game from now on. The eighth-seeded Bears’ first partner in the Big Dance is the ninth-seeded University of North Carolina. There is a reason there is only a one-seed difference between the two teams — they both finished conference play at .500. The Tar Heels had a balanced season, never losing more than three games consecutively or winning more than four in a row. The Bears started their season with nine straight wins but also had a five-game losing streak later on in the season. UNC boasts a balanced starting five, as four players average double-digit scoring, while junior guard Taylor Koenen follows with 9.5 points per game. Koenen, however, is the only Tar Heel who played in and started all 32 games this season and is the second-leading rebounder in the team, with 6.9 per game. UNC’s leader on the court is redshirt senior Paris Kea. The 5’9” guard leads the team with 17.1 points per game, and the Tar Heels will turn to her for her experience in the last stretch of the season. Sophomore Janelle Bailey will also be one of the key players for UNC, as the 6’4” center will go toe-to-toe with Cal’s Kristine Anigwe. Bailey trails close behind Kea with 16.7 points per game and leads the team with 8.9 rebounds per game, but she will have her hands full with Anigwe. Bailey’s performance on both ends of the floor will be critical for the Tar Heels. According to Her Hoop Stats, the Tar Heels rank 241st in the nation in rebounding rate, which is why they have a tough challenge ahead of them. Cal is ranked 26th in the same category, and 6’4” Anigwe leads the nation with 16.4 boards per game, almost three rebounds more than any other player. That means there are two main ways the Heels could steal a win — either UNC has a day stopping Anigwe and grabbing the boards, or it shoots lights out. The Tar Heels have shot 42.2 percent from the floor so far this season, with 33 percent accuracy behind the arc. Cal, on the other hand, averages 44.2 percent from the floor and shoots 35.3 percent from 3-point range. 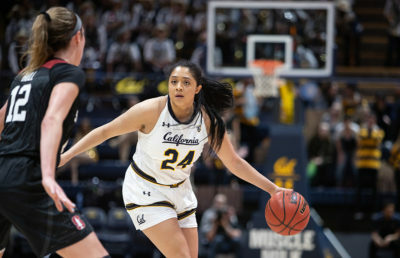 The Bears also improved their long-range shooting in the later stages of the season, with the exception of their poor showing against Stanford in the quarterfinal of the Pac-12 Tournament. UNC will be looking at redshirt junior guard Stephanie Watts to lead the way if the game turns into a shootout. Watts shoots 37.3 percent behind the arc, which is a better average than any Cal player who logged significant playing time this season was able to achieve. 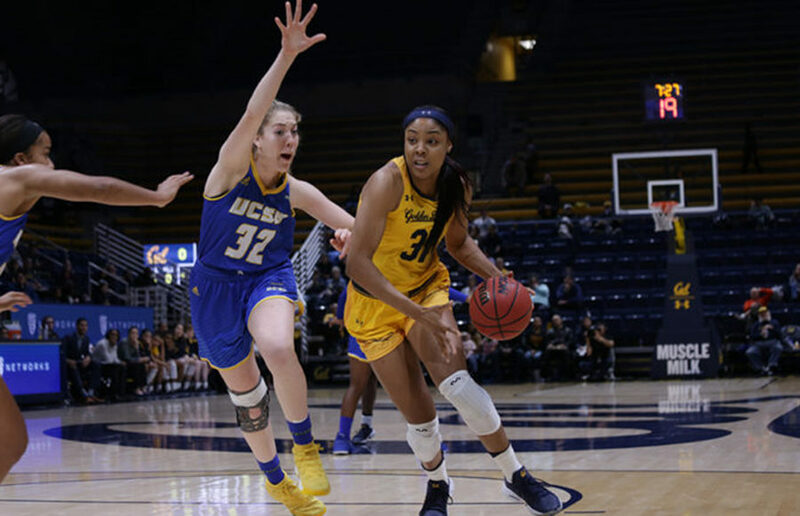 After missing last year’s first-round loss, Anigwe will definitely want to make an impact for Cal with her fellow senior Asha Thomas and graduate student Receé Caldwell. The Bears will try to control the pace of the game with their experienced players. Even though it’s a match between an eight seed and a nine seed, the Bears seem to have the upper hand in the matchup; there’s a reason, however, that this month is associated with madness. One thing is for sure: The graduating class of Cal will not want to leave the dance floor this early. The Bears will face the Tar Heels on Saturday at 12:30 p.m. in Waco, Texas.